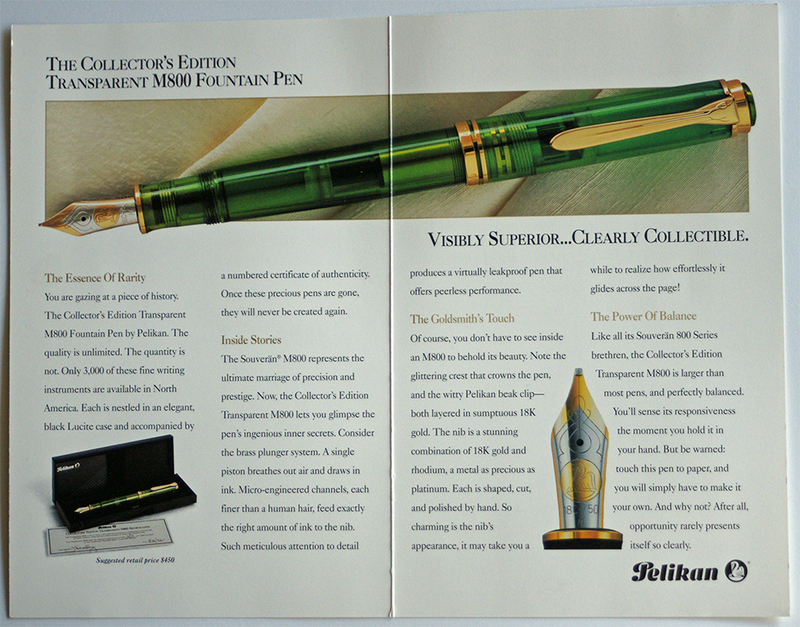 Pelikan is well known for their regularly released limited edition fountain pens in addition to their standard line-up. 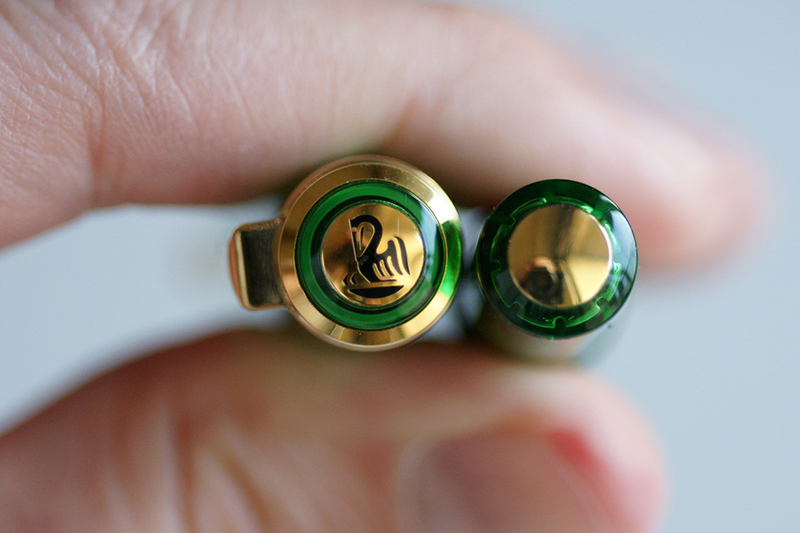 There have been many limited edition releases over the years and I thought that it might be interesting to look back at what is considered to be the very first of these modern releases from Pelikan. The details surrounding this model have caused some confusion over the years which I hope to dispel by the end of this post. Which model launched such a distinguished tradition of releases? 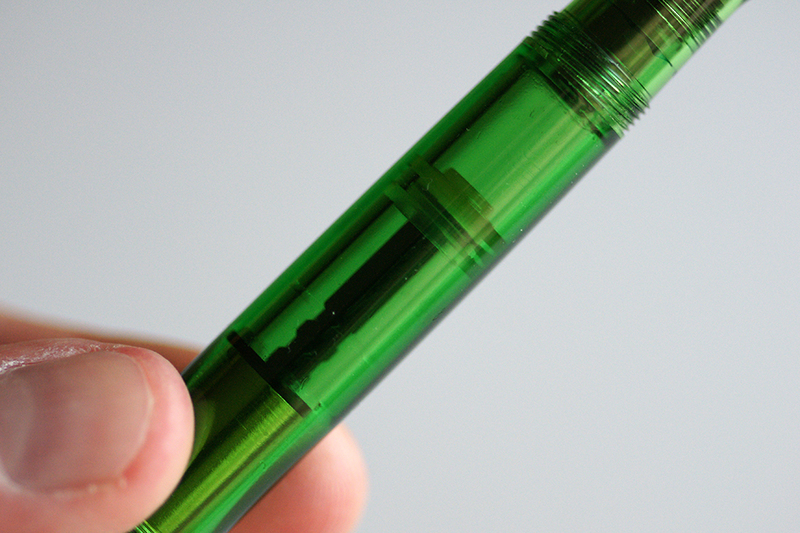 The answer is none other than the highly sought after M800 transparent green demonstrator. 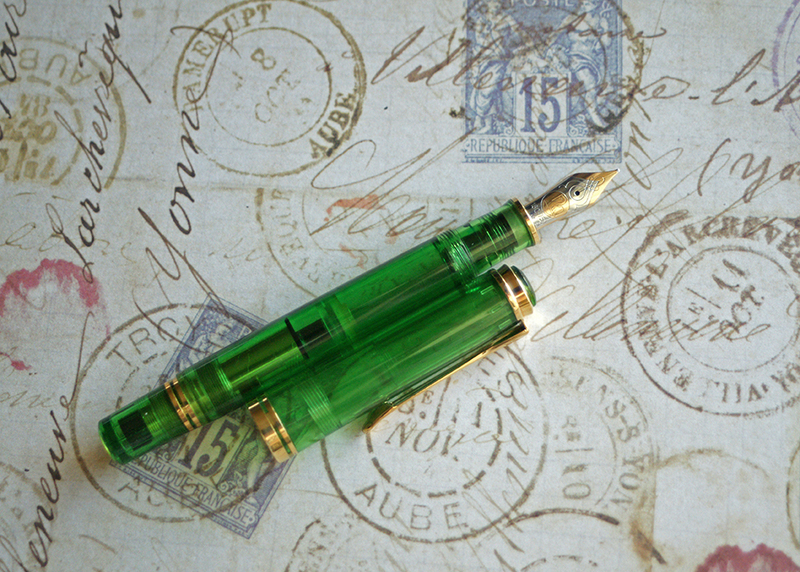 Affectionately referred to as the “Green Ocean,” it is the predecessor to the highly successful M800 Blue Ocean released as a run of 5000 fountain pens in 1993. 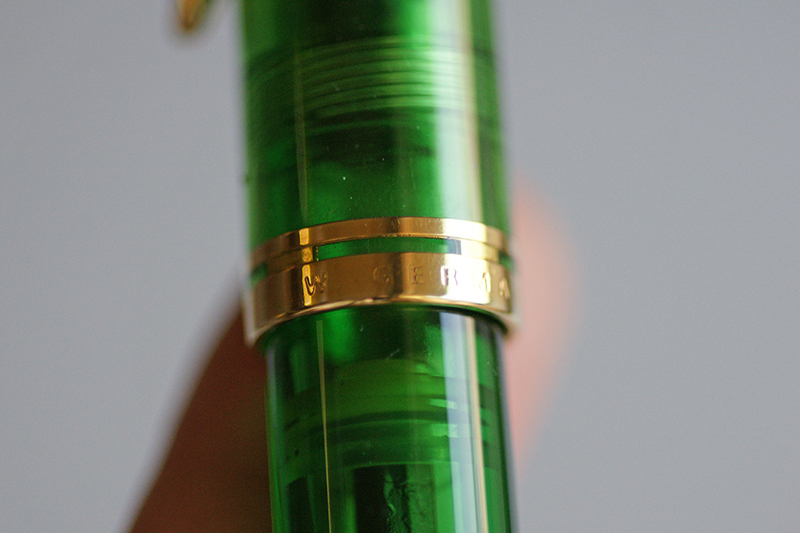 The confusion surrounding the transparent green release often stems from the fact that none of these M800s are identifiable as limited editions as the pens themselves are not numbered. 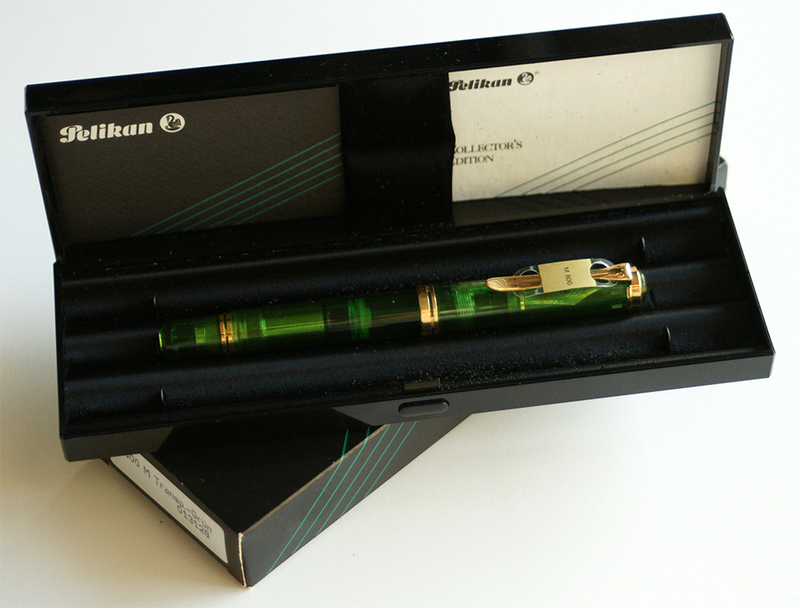 Pelikan Schreibgeräte tells us that customers from the United States requested an M800 in a transparent green color sometime around 1991. 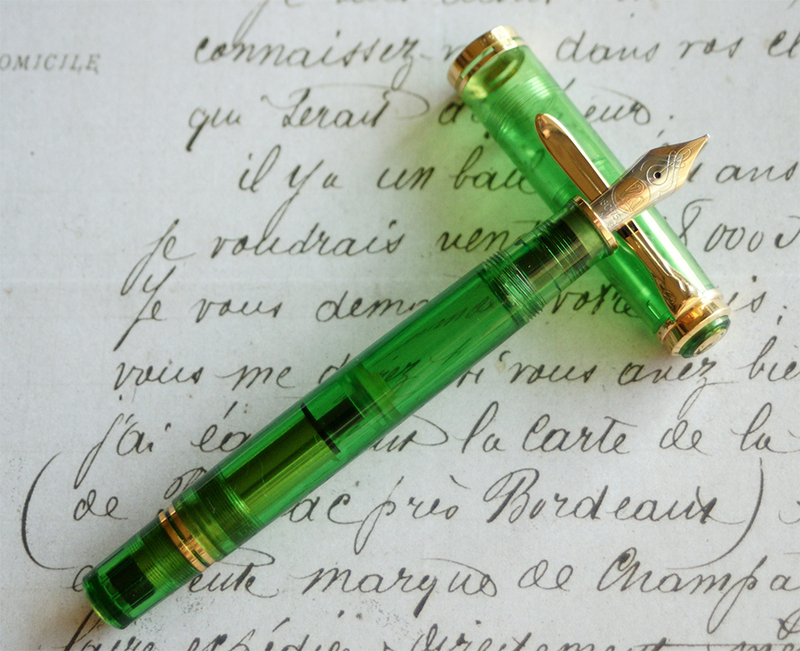 Heeding that request, the green demonstrator was released for sale in 1992. This model was ultimately made in an unnumbered and unlimited production run, similar to the special editions of today like the recent M800 Burnt Orange. 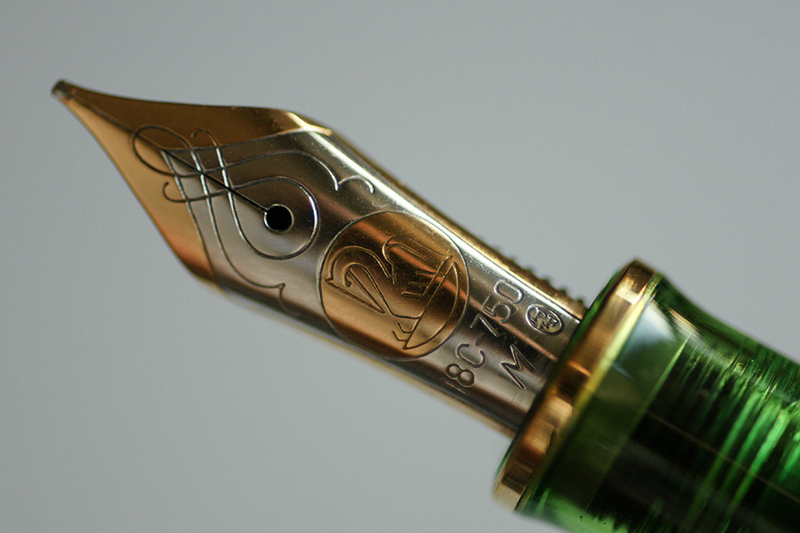 The suggested retail price of the fountain pen at launch was $450. Marketing materials depicted below simply begin with a quote from Robert Browning on the cover; “Suddenly as rare things will, it vanished.” The rest of the literature continues to stress the rarity of the release. 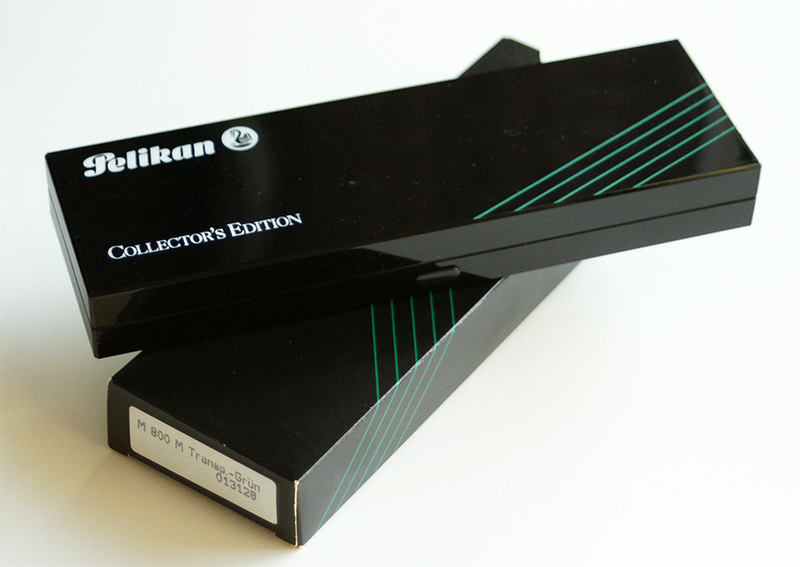 The pens were packaged in a black Lucite case which was made special for the Collector’s Edition release. The pamphlet appears to have been put out by Pelikan, Inc’s stationary division from Franklin, Tennessee, U.S.A. as well as Anthes Universal Limited located in Brampton, Ontario, Canada. The pen itself has the familiar form factor of the M800. It is done in completely transparent green material which allows for visualization of the brass piston as well as the remaining ink level. There is a trim ring at the section with two at the piston knob in addition to double cap bands. The traditional beak clip is present and the cap top is stamped with the two chick logo. A gold medallion adorns the piston knob as was the style at the time. These pens were manufactured in the early 1990s at the time when manufacturer’s marks were transitioning from West Germany to Germany. Cap bands from the earlier portion of production are stamped “Pelikan W.-Germany.” Pens from later in the run are stamped only with “Pelikan Germany.” Many of the nibs on these pens can be found with the ‘PF’ stamping also consistent with the time of manufacture. Beautiful pen. Is this part of your collection, Joshua? Thank you Brad. Yes, it is one of mine. A beautiful addition to the collection that I was fortunate enough to stumble upon at a very reasonable price. Matches nicely with the M200 and M250 green demos.